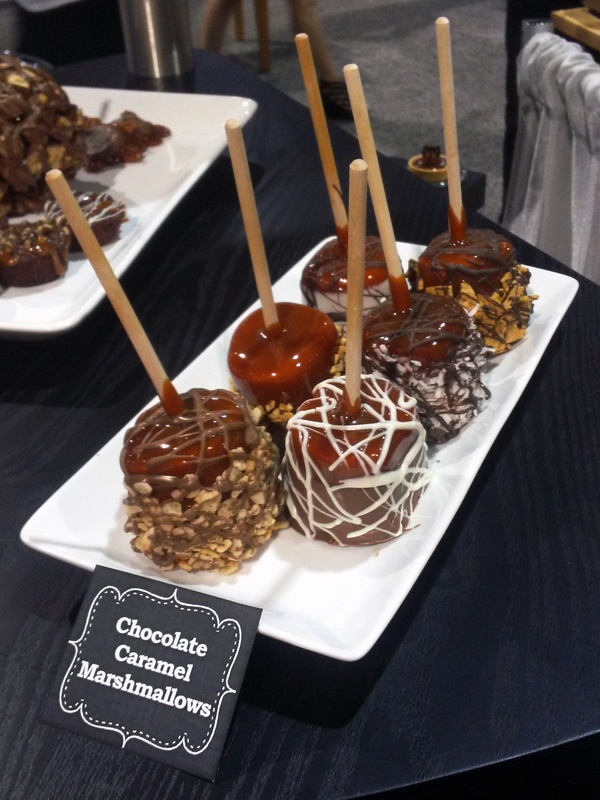 At the IDDBA’s Dairy-Deli-Bake Seminar and Expo at the Georgia World Congress Center in Atlanta, Georgia earlier this month, we went beyond caramel apples and created a dessert display to showcase all of the uses for our Daffy Farms All Natural Baker’s Caramel. 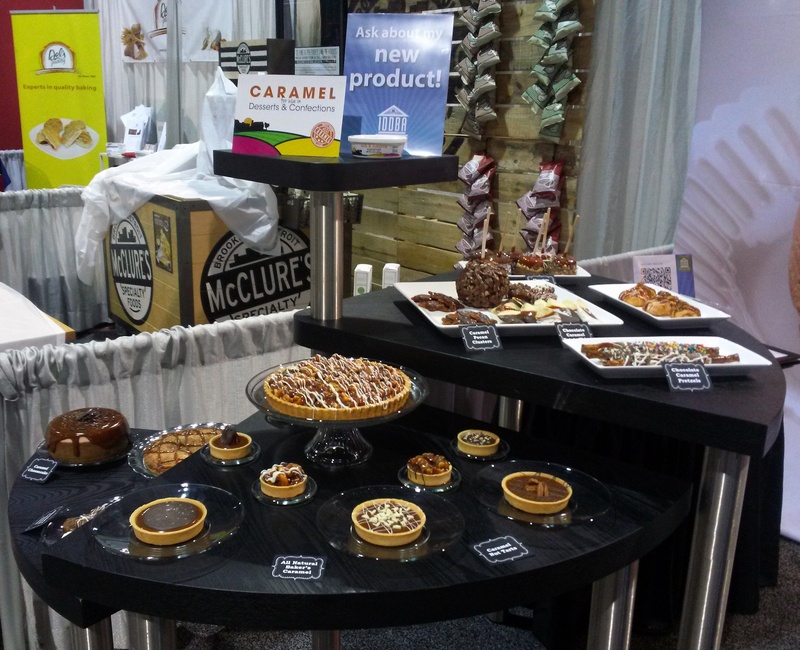 We filled, drizzled, dipped, and topped a variety of bakery and confectionery items! 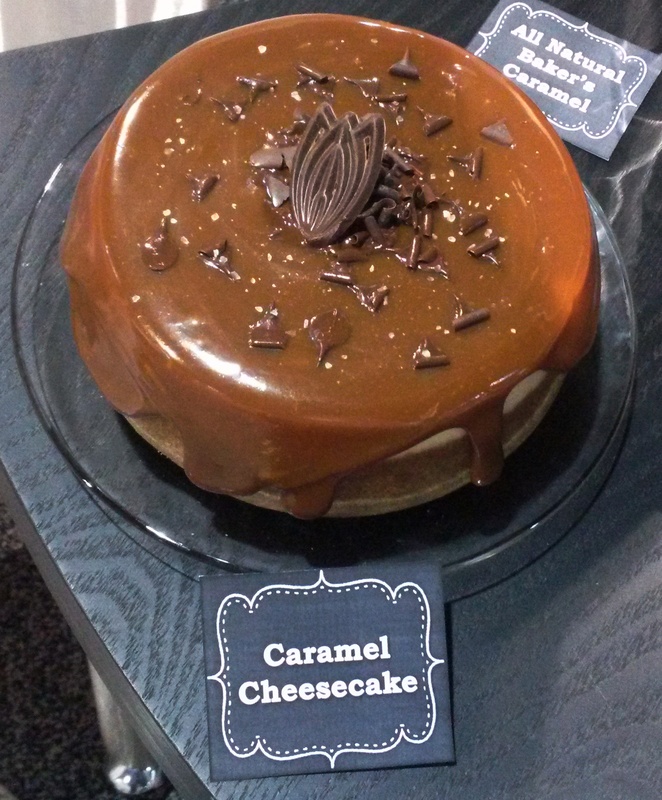 Caramel, chocolate, sea salt cheesecake. 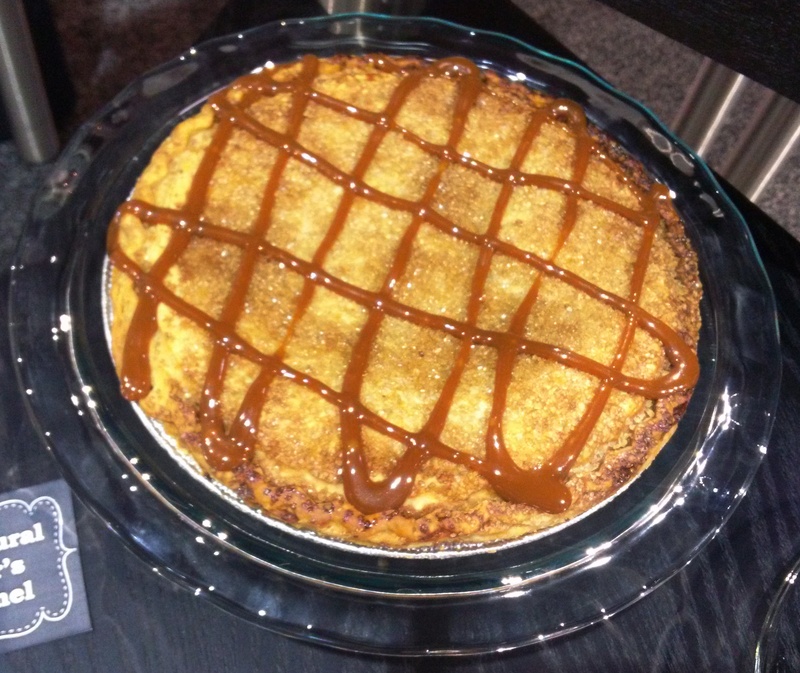 Caramel drizzled traditional apple pie. 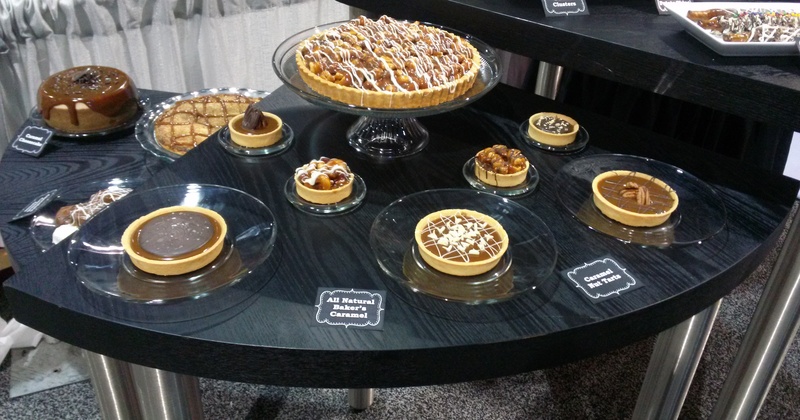 Caramel, nut, and chocolate tarts of all sizes! 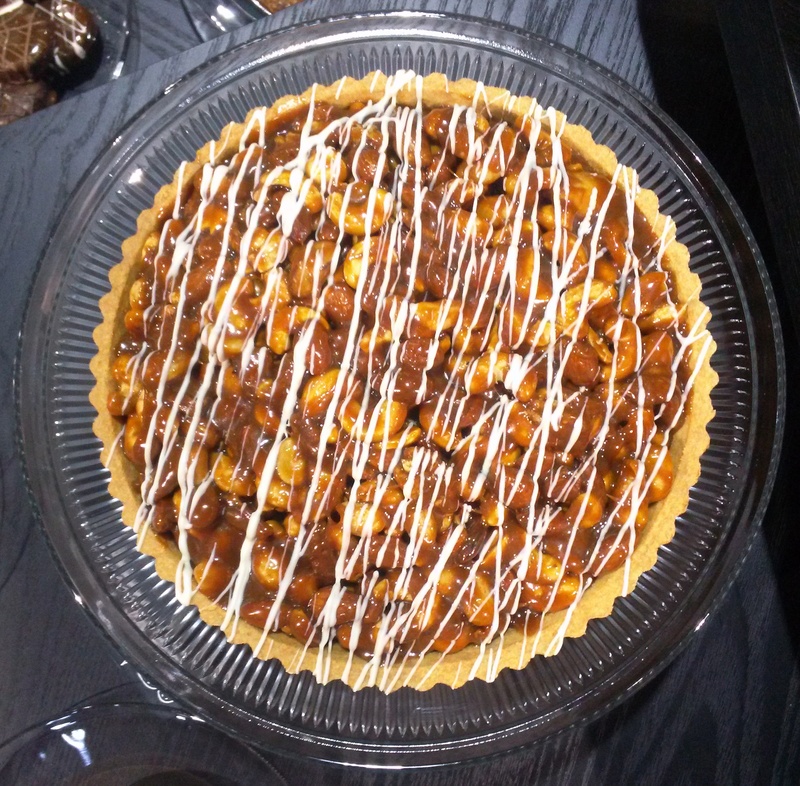 A closer view of the large tart, with white chocolate drizzle, nuts, and caramel. 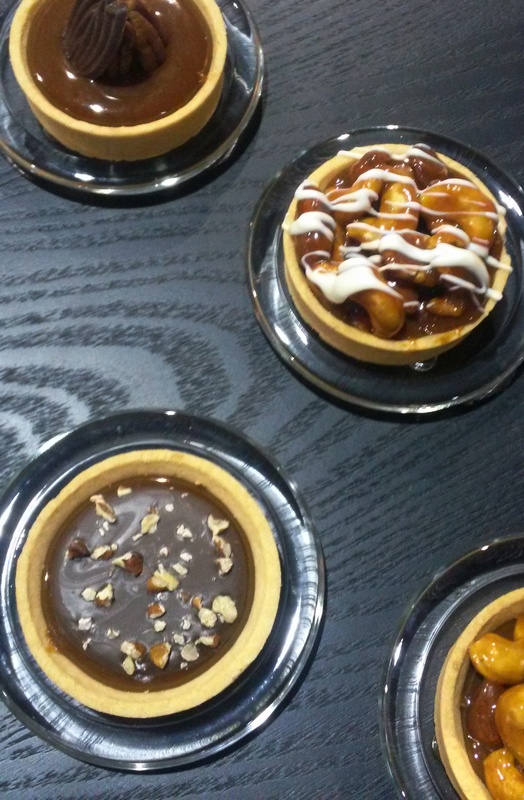 And some of the small tarts! 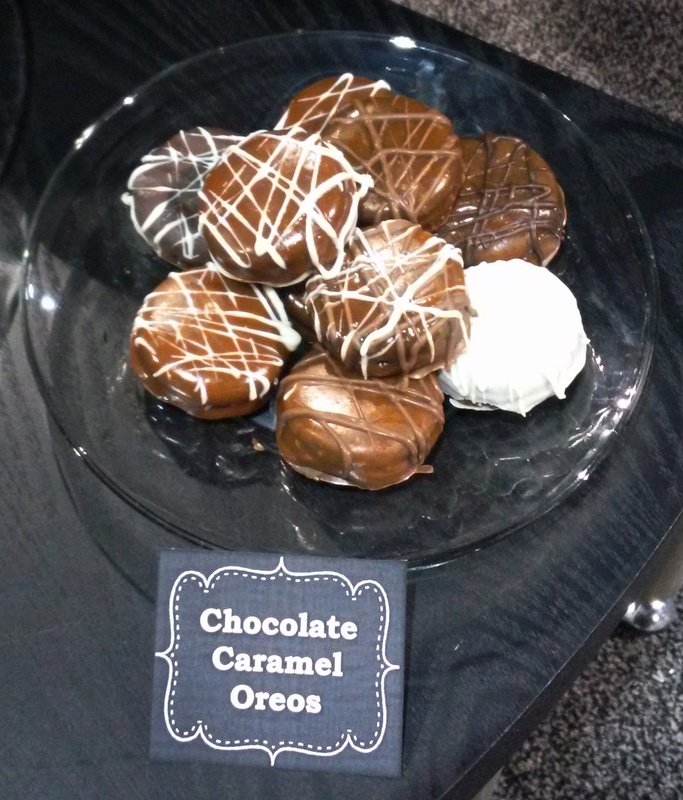 Milk, white, and dark chocolate caramel dipped and decorated Oreos. A whole plate of various caramel desserts! 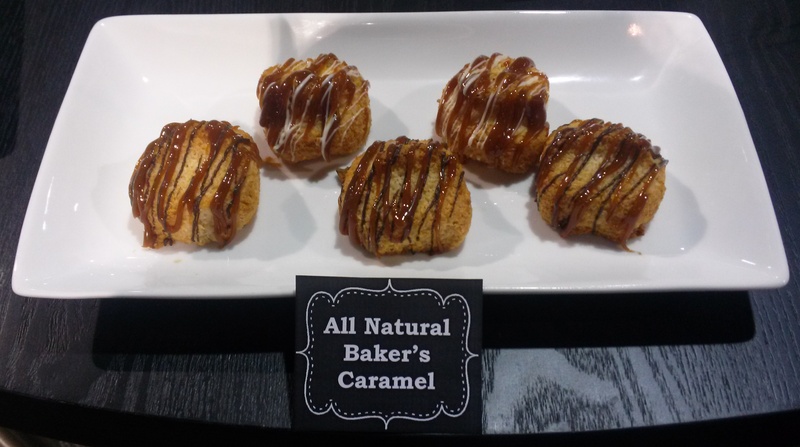 Caramel, milk, and white chocolate drizzled macaroons. 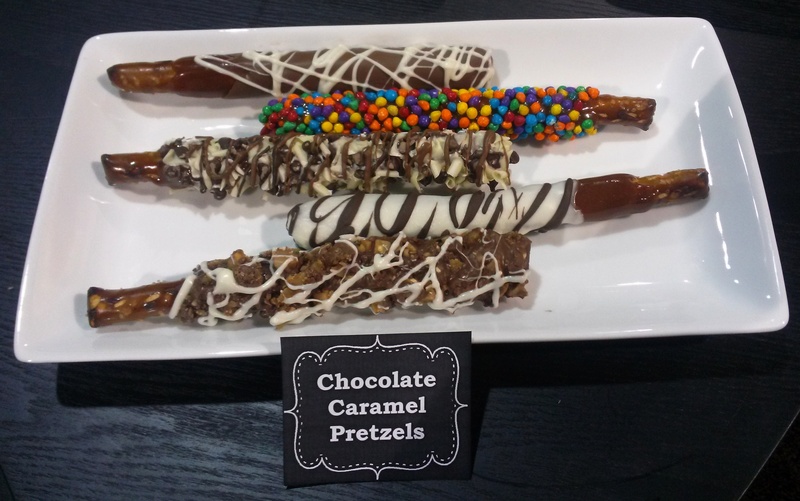 And last, but definitely not least, caramel and chocolate dipped pretzels! Believe or not, we still have more news from the show! 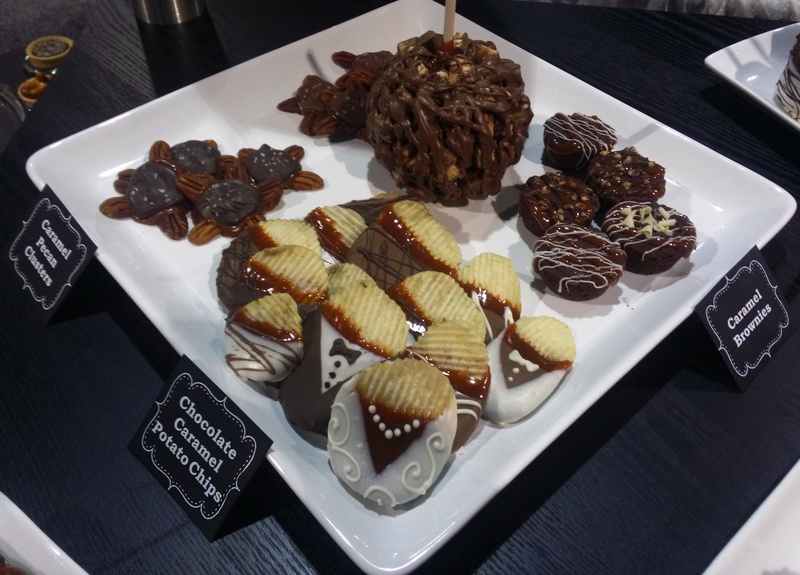 A new product…some famous speakers…so check back tomorrow for the next post about our IDDBA adventures! Posted in Bulk Caramel, Daffy Farms, Decorating Ideas, Delicious Pictures, Recipes & Uses, The Daffy Apple and tagged all natural baker's caramel, apple, baker's caramel, cheesecake, chocolate, confectionery, daffy apple, daffy farms, dark, desserts, dip, drizzle, iddba, macaroons, marshmallows, milk, nut tart, oreos, pie, potato chips, pretzels, salted caramel, sea salt, tarts, trade show, white on June 25, 2015 by daffyfarmsblog.